Marcus Carr showed the type of potential as a freshman last season that had Pittsburgh expecting big things in his future with the program. 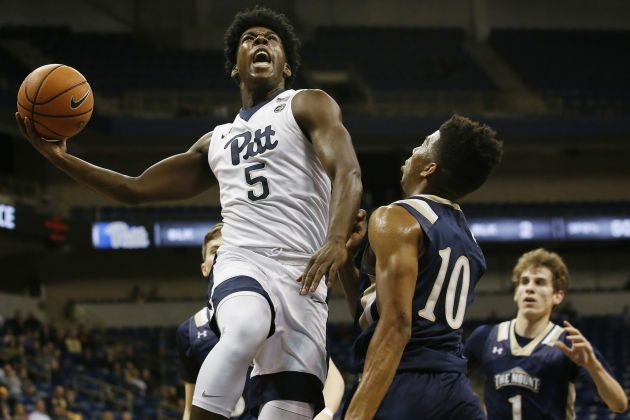 Carr transferred to Minnesota following Pitt coach Kevin Stallings’ firing last spring, so the same expectations for the 6-foot-1 guard’s impact followed him to the Gophers. The question is when will Carr makes his debut on the court in maroon and gold? The standard NCAA rule is for non-graduate transfers to sit out one year at their new school, but Gophers coach Richard Pitino confirmed recently the U is seeking a waiver for Carr to play immediately. Pitino has no idea what the timetable would be for the NCAA to make a determination on Carr’s waiver request once it has been filed. Carr, a Toronto native, averaged 10 points and a team-high four assists and started 27 games for the Panthers in 2017-18. He was the first Pittsburgh freshman to average double figures in scoring since DeJuan Blair in 2007-08. The Gophers could sure use Carr’s presence in the backcourt to help sophomore Isaiah Washington at point guard this season. Fair or not, Parrish is right about the process. It might be tough for Carr to get to play for the Gophers in 2018-19, but he already accepted that as a strong possibility when he signed with Minnesota in May. From reports on summer practice, it sounds like Carr has made an immediate impression as far as having a great attitude, strong work ethic and gets along well with his teammates. He’s not known as a three-point shooter, but he’s held his own in shooting contests with Michael Hurt, Gabe Kalscheur and Washington after practices. What is the best way to describe Carr’s game?